If you simply have a brochure design for your school website that provides static information, you are missing out on so many advantages. These days, you can have mobile friendly websites viewable on multiple devices, Virtual Learning Environments (VLEs) built in, complete with multiple tools to enhance communication, and many more features. So how should you go about searching for web designers to create the modern and functional website you need for your school? Here are a few things to consider. There are many web designers to choose from, but not all of them specialise in school websites, nor can offer a quality solution mindful of limited school budgets. So find a company that specifically works on schools or has a department dedicated to schools. 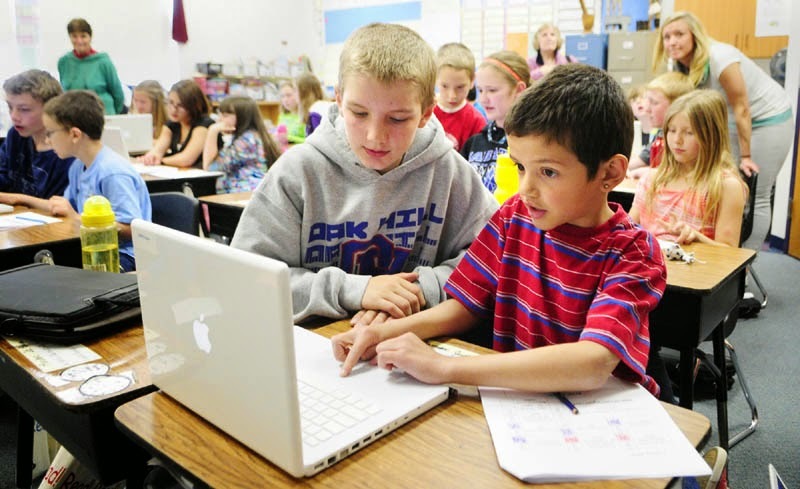 A service like schoolscool.co.uk will know about the unique requirements for school web design and interactive software compared to commercial websites for companies. School websites should look clean and simple. You want your website to be easy to navigate and to use, and you have to consider this just as carefully as a company that is trying to sell its products online. Make sure you discuss this with your designer, and if you can find a website design for another school that you like, inform your website designer so they can use this as a guide. important updates can be sent electronically. Whatever type of school or educational establishment you run, a VLE can be incredibly useful. So make sure your designer is familiar with these and can build one into your website. When you choose your school website designer, you may also want to look at the extra features they could provide. For example, some designers may also be able to provide you with an app. Apps can be incredibly useful because they can be used to send push notifications, which will reach the users wherever they are. This can also be a cost-effective way to contact parents and students with important updates – such as if a school is closed due to bad weather. People are also very familiar with apps, and most people know how to use them and to access their features almost intuitively. Indeed, more people now prefer apps compared to going online. Other extras could involve offline marketing through the design of print materials like brochures. These are just as important for your school, and by using a designer that offers both online and offline design, you can ensure your branding is consistent across all your marketing platforms. These are some of the things you should be looking for when you decide to find a designer to create a new school website. Consider all the options available to you, and choose a designer who can create a website that does everything you need it to. You can leave your comments and suggestions below. This article is posted by Rizwan Ahmad Author and founder of cyberockk.com, He is a tech blogger from India and he loves to share his thoughts by writing articles on this site to the different topics related to technology world.